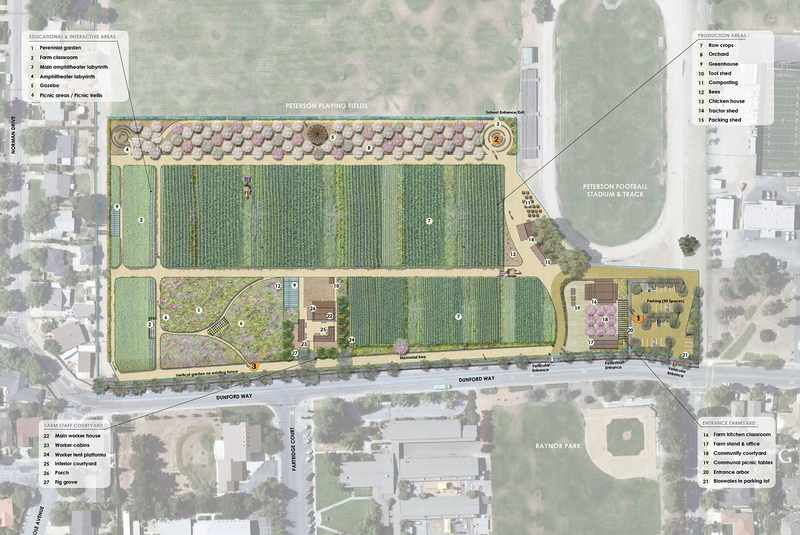 Full Circle Farm is an 11-acre, educational farm and garden in the heart of Silicon Valley. Nestled in a residential neighborhood on the back half of a local middle school, Full Circle Farm is a community-focused, educational project dedicated to bringing fresh, locally grown food to the region. 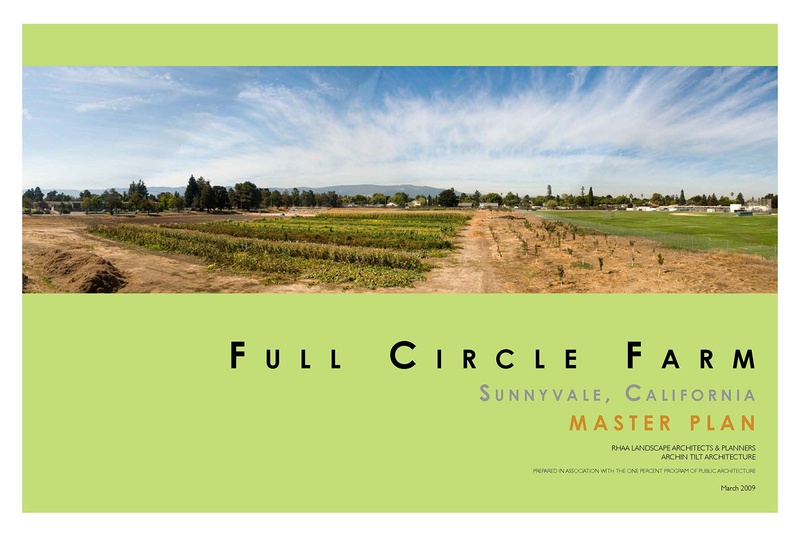 Full Circle Farm currently maintains a 0.25 acre educational garden, 5 acres of farm production, a 100 tree orchard, a temporary farm stand, temporary office, tractor shed, produce storage cooler and a greenhouse. 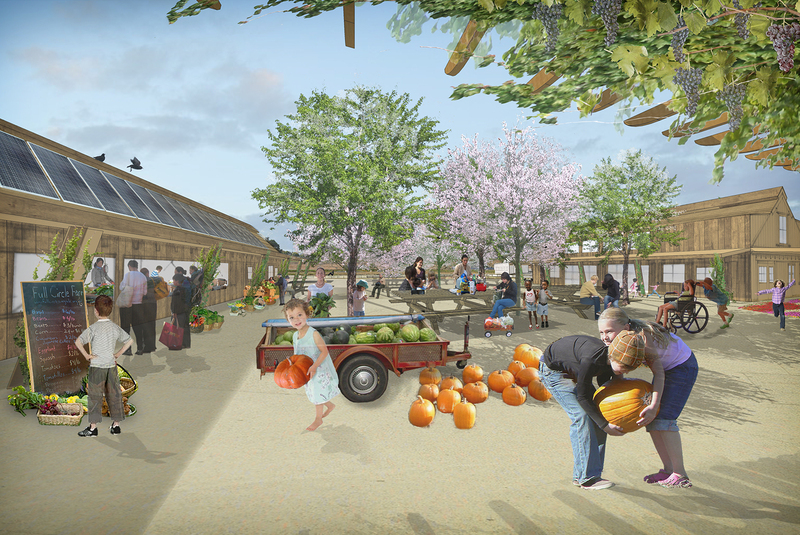 The Full Circle Farm Master Plan was conceived to support the implementation of this vision. 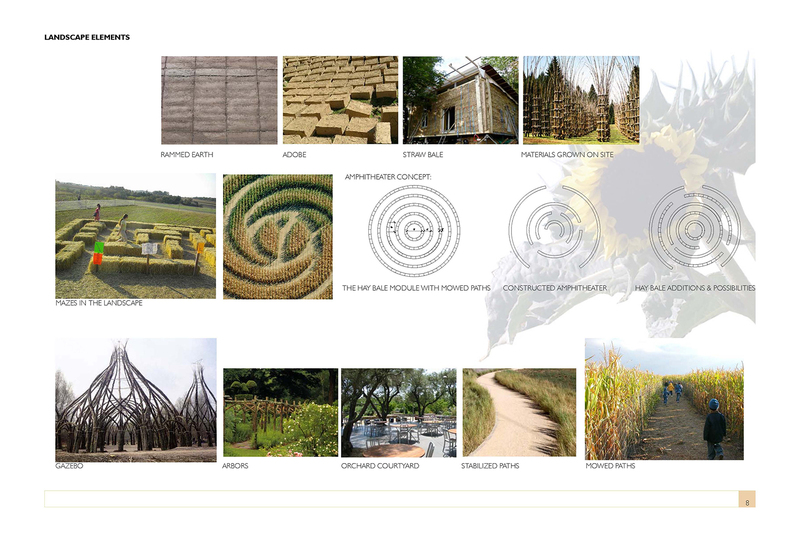 In association with The One Percent program of Public Architecture, RHAA and Arkin Tilt Architects collaborated with Full Circle Farm to illustrate the unique and diverse potentials of the site. The goal of the Master Plan is strengthen, clarify and unify the vision and experience of the Farm. The plan enhances this sense of place by creating distinctive visual identity, continuity and clarity. 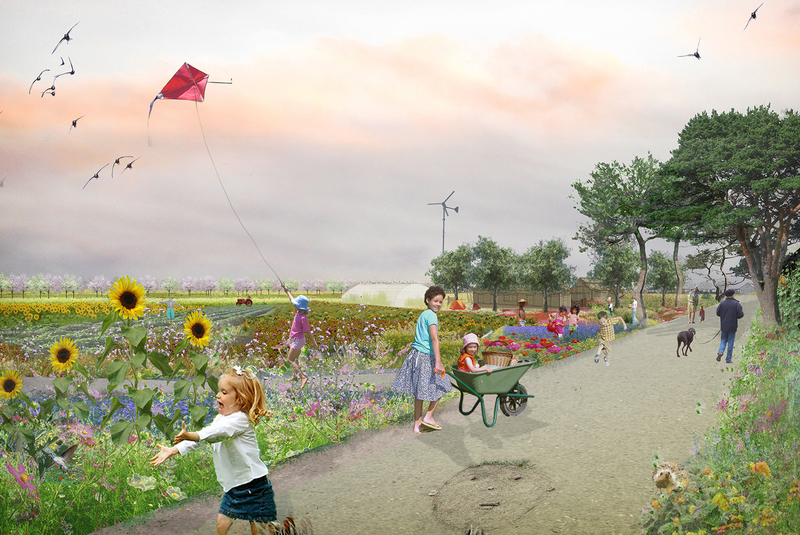 The current plan includes expanding the educational garden, expanding the production farm to include a perennial garden, expanding of the orchard as well as the construction of permanent structures and pedestrian walkways.